I really wanted to enter the latest TOMIC challenge but I have to admit to sighing inwardly when I saw it was masking... lol!! Masking is hard work! But the image came together pretty well once I'd had my lightbulb moment of using the piano (my Mom loves to play)& I am pleased with how the image looks. 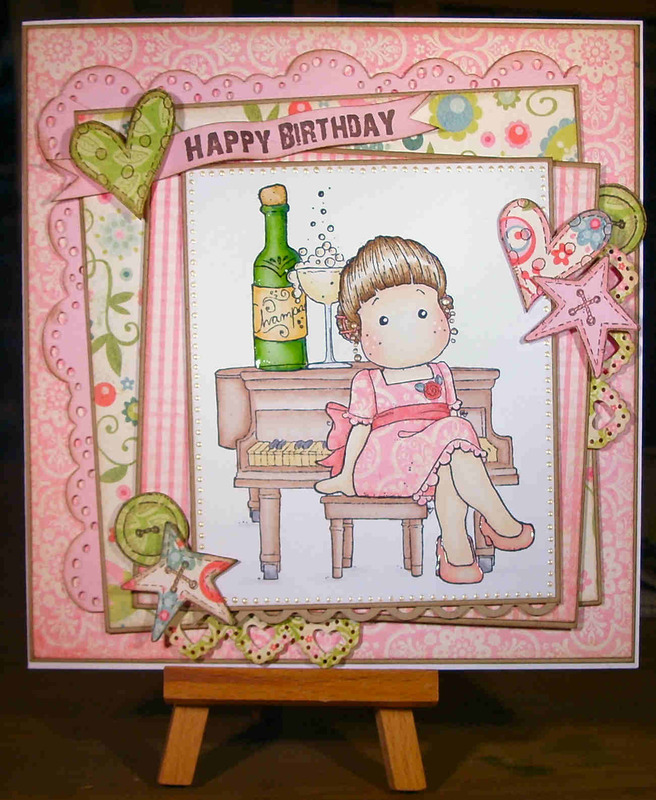 I used MME Quite Contrary PPs, Promarkers & glossy accents on the shoes & champagne. Some freebie Molly Bloom's accessory stamps too. Apologies for the picture quality, I know it's awful! gorgeous card Nikki, you're mum will love it. Aw Nik its beautiful, bet your mum was thrilled! It's a beautiful card your Mum will love it.